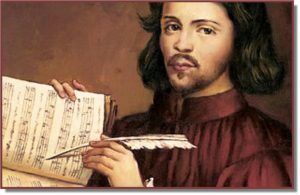 Thomas Tallis is one of the pre-eminent composers of the Edwardian and early Elizabethan period, in the opinion of some experts (such as Peter Phillips, director of the Tallis Scholars) one of the greatest English composers of all time. His work had a lasting influence in the development of music within the Anglican tradition, and so is a staple in our choir’s repertoire. Scholars believe that much of the music he composed has sadly been lost, destroyed during the “cleansing” of all things liturgical during the Puritan regime in the seventeenth century.